DoJ used photos of a woman it arrested to forge a Facebook profile of her and try to catfish other crooks. The world around you, not a DEA agent pretending to be you. Facebook’s “Real Name” policy has gotten a little more lenient lately, but that doesn’t mean you can impersonate someone else. 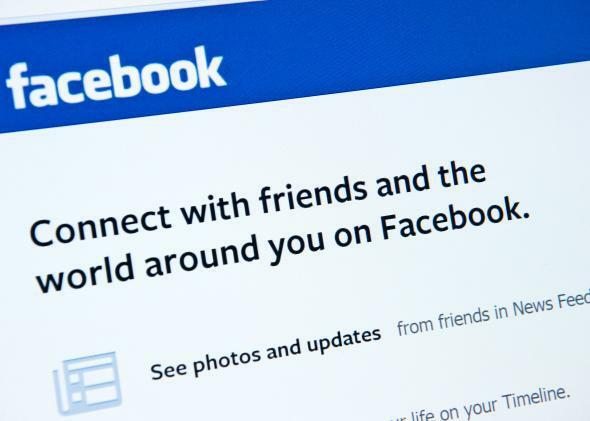 A few years ago, a Drug Enforcement Administration agent created a Facebook profile in the name of a woman being tried for drug-related crimes so that he could attempt to catfish other criminals. The agent set up the account without the woman’s knowledge, posted photos of her from her seized cellphone to legitimize the profile, and then communicated with other Facebook users. OK, this sounds super sketchy. Buzzfeed dug up a court filing from August that discusses the fake Facebook account and its creation by DEA special agent Timothy Sinnigen. According to the filing, Sondra Prince, also known as Sondra Arquiett, was arrested in 2010 in New York for alleged participation in a drug ring. She was later sentenced to probation because she took responsibility, is a single mother, and seemed to be a minor participant in the ring. The fake Facebook account cropped up before her trial, though, and Sinnigen used photos from Arquiett’s cellphone, which had been seized in her arrest, on the page. Some of the photos were risqué; in another, Arquiett posed with her young son and niece. The account first came to Arquiett’s attention in 2010 when a friend asked her about photos she was “posting” on her Facebook. Arquiett was understandably suspicious because she didn’t have a Facebook, so she looked into it and discovered the phony profile. BuzzFeed and others were able to access the fake profile until it was removed early Tuesday morning, after publication of the BuzzFeed story. [The] defendants admit that Plaintiff did not give express permission for the creation of the Facebook page, but state the Plaintiff implicitly consented by granting access to the information stored in her cell phone and by consenting to the use of that information to aid in an ongoing criminal investigations. It seems like a little bit of a stretch to say that in handing over her cellphone, Arquiett was tacitly consenting to have the government use her name and likeness on the Internet. The U.S. attorney denies her assertion that the profile was “publicly available,” though given that news outlets could easily view it and link to it, this point is debatable. There’s a moral to this story. If you’re ever in a remotely similar situation, remember that the Supreme Court ruled this year that law enforcement officials need a warrant to search your phone. You don’t have to give permission. And encrypting your data or at least using a passcode will shield your information even further. The only person who should be posting overshare-y photos and dumb quotes under your name on Facebook is you.